Vegetation flouris­hes on Viðey island, which was for cent­uries reg­ar­ded as one of the best esta­tes inIce­land. The fields yielded large quan­tities of hay, and traces can still be seen of walls built to keep graz­ing livestock out of the hayfields. Over the cent­uries, the natural mars­hes of the island have been drained to provide more agricultural land. Today 156 species of vascular plants grow on Viðey, or one-third of the flora ofIceland. Treasurer Skúli Magnússon made vari­ous horticultural experi­ments in the 18th cent­ury, grow­ing e.g. potatoes, cabbage and tobacco, and plant­ing trees. One of Skúli’s experi­ments was a resound­ing success: the caraway plants he introduced still flourish all over the island. The caraway generally ripens in August. 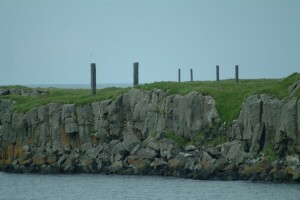 Many of the oldest sources on Viðey island relate to its bir­d­life. Over the cent­uries, the eider (Somateria moll­issima) colony on Viðey was an import­ant resource, providing costly eider down. After decl­in­ing in the first half of the 20th cent­ury, the eider pop­ulation of Viðey is reco­ver­ing, and the eider is now the comm­o­nest bird on the island. Its major breed­ing areas are on eit­her side of the Þórsnes hea­dland: this area is closed to visitors dur­ing the nest­ing season. Other common birds on Viðey island include the fulmar (Fulmarus glacialis), greylag goose (Anser anser), snipe (Gallinago gall­inago), purple sandpiper (Calidris maritima) and oystercatcher (Haematopus ostr­a­legus). 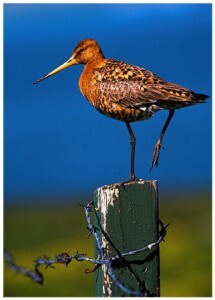 A few years ago the black-tailed godwit (Limosa limosa) started to breed on Viðey island. A total of about 30 species breed on the island, which is thus a great attraction for bird-lovers. The ponds on the ist­hmus (Eiðið) are especially rich in birdlife. Please show consi­deration for the birds on the island: keep to the mar­ked foot­p­aths and do not dist­urb nests or nest­ing birds. Two million years ago Viðey was an active volcano, which is known as the Viðey volcano, and the rock of Viðey island is the oldest in the Reykjavík area. At the end of the last Ice Age, 12–13,000 years ago, the sea level rose due to the melt­ing of the glacial ice, and the island was inunda­ted. When the sea level dropped, the island rose once more from the sea 9–10,000 years ago. Viðey island is about 1.6 km in total area, compris­ing Heimaey (HomeIsland) and Vesturey (WestIsland), which are lin­ked by a narrow neck of land or ist­hmus, Eiðið. The eastern­most part of Heimaey is known as Austurey (EastIsland). Spectacular rock formati­ons can be seen along the shore of the island, as well as on Virkishöfði (Battlement Headland) and Eiðisbjarg. The island is const­antly being eroded by the forces of the sea, and this is especially cle­arly seen at Kríusandur and Þórsnes. Please take care when walk­ing along the cliffs.